Worldview International Foundation (WIF) is carrying the first mangrove restoration project in Myanmar to receive Verified Carbon Standard certification. Six million trees have been planted during the project’s first phase with an 86 percent success rate, far above the average 50 percent documented to date, according to WIF. Launched in 2012 in support of the UN Paris Climate Agreement and UN Sustainable Development Goals, project partners project that the 2,265.47 hectare (~5,596 acre) mangrove forest restoration will store the equivalent of 3.5 million tons of carbon dioxide emissions over its verified life cycle. Project partners are working closely with local community members in three village areas to carry out the project in a bid to improve their livelihoods and quality of life. Seventy percent of the project’s field staff are local women specially trained in mangrove restoration, according to WIF. More than half the world’s mangrove forest cover — some 32 million hectares (~79 million acres) is already lost as a result of human activities — coastal land development, agriculture, aquaculture, and climate change. 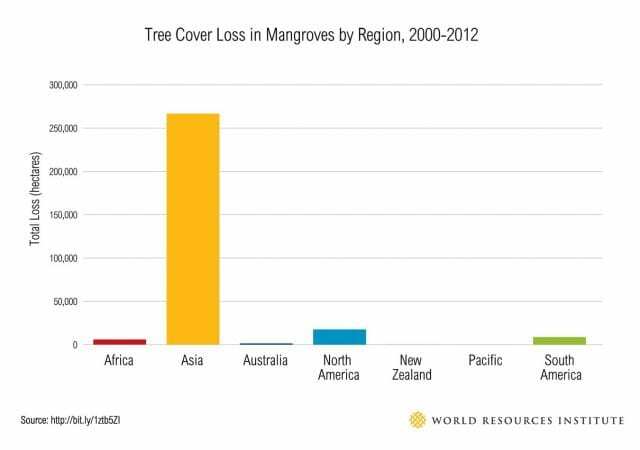 About half the loss has occurred in the past 50 years and most of that in the last two decades, the Mangrove Action Project highlights. Once found extensively along tropical and sub-tropical coastlines, mangrove forests provide a wide variety of vital ecosystem services. 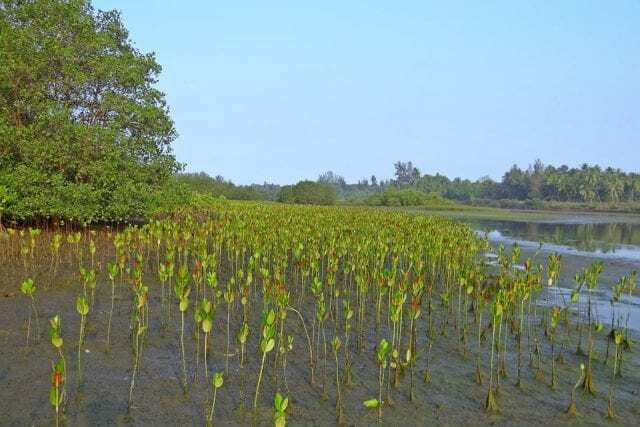 Mangroves serve as nurseries for a profusion of plant and animal species, recycling of essential nutrients, carbon storage and erosion and flood control. They serve as natural storm buffers and provide livelihoods for communities across the globe. Mangrove trees can store up to five times as much CO2 during their lives as compared terrestrial trees, according to former WIF member Suraj Anuradha Vanniarachchy. Serving as marine breeding grounds and nurseries, they can also boost fish populations by as much as 50 percent, providing additional resources for local communities. That’s in addition to the storm defense, erosion and flood control, recycling of nutrients and organic waste and other ecosystem services mangroves provide, such as long-term carbon storage. The first phase of WIF’s mangrove restoration-sustainable development project began with planting mangrove seedlings in Myanmar’s Magyi region in 2015 and completed last year, according to the Nov. 2018 VCS verification study and report. WIF commissioned Italy’s RINA Services S.p.A to carry out the effort. Planting is slated to begin in the two other village coastal areas — Thabawkan and Thaegon — this year and be completed by 2020. Besides mangrove restoration, reducing poverty by helping villagers create sustainable livelihoods, conservation, and enhancing biodiversity are other primary project goals. Looking forward, WIF intends to restore 100,000 hectares (247,000 acres) of destroyed mangrove forest in Myanmar over the next 15 years. The organization also intends to expand its activities in India and Indonesia in 2019. Ultimately, WIF’s goal is to plant more than 1 billion mangrove trees with the ability to mitigate as much 500 million tons equivalent of CO2, all while improving the lives of more than 10 million people living in vulnerable coastal communities at the same time.